Lady Antonia Fraser Pinter unveiled a plaque, sponsored by Clapton Pond Neighbourhood Action Group (CPNAG), on Saturday September 22 2012. 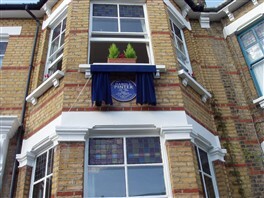 The plaque marks the house in Thistlewaite Road where Harold Pinter, her husband, was born and grew up. He died in 2008. Among those who turned out to mark the occasion were actor, writer, director Steve Berkoff, who – like Pinter – had attended Hackney Downs School; playwright Tom Stoppard; actor Julian Sands, who movingly read out a poem written by Harold about his Hackney Downs School teacher Joseph Brearley; theatre critic Michael Billington (Pinter's biographer); and Diane Abbott, MP for Hackney North and Stoke Newington. ‘Harold would have been very happy about this. He was extremely proud of his origins – and quite rightly so. As his work makes very clear, they had made him what he was. Plus of course that extra dash of inspiration which was entirely his,’ said Lady Antonia. 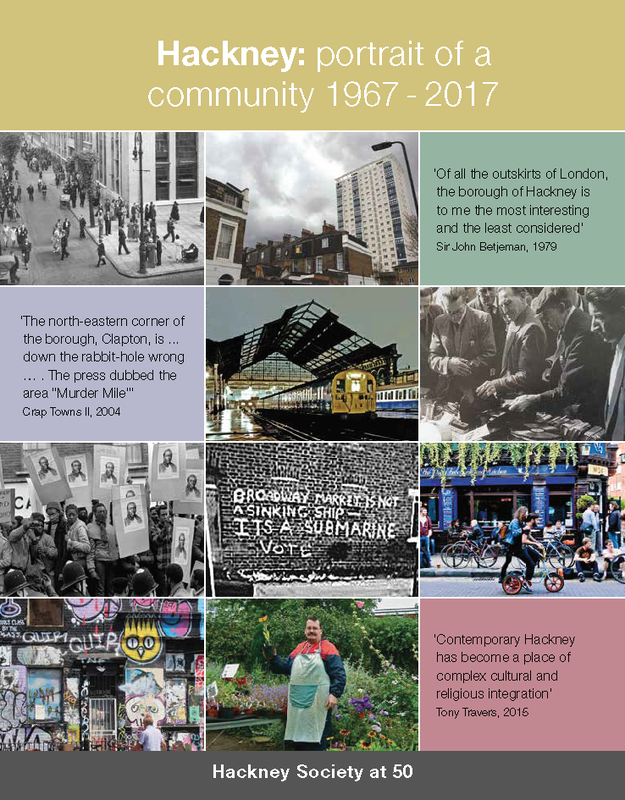 Julia Lafferty, a trustee of the Hackney Society, gave a brief talk on the history of Clapton, the landscape of Pinter’s childhood. After pointing to the observations of Samuel Pepys in 1666 and those of Daniel Defoe in 1722, she described Clapton’s long tradition of religious non-conformity and dissent, including the establishment of New College in the 1780s. She went on to pay tribute to Hackney Downs School and Joe Brearley, the English teacher there who had fired Pinter’s imagination. Following the talk, Julia presented Lady Antonia with a copy of the Hackney Society publication Hackney: An uncommon history in five parts. This page was added on 24/09/2012.